This fancy title refers to a very smart bee indeed… to ecobee, a leading player in the connected thermostat world. We have been following this very serious company and their products for a while. If you need more backup, there was quite of a buzz around them a few weeks ago after ecobee announced Amazon Alexa invested $35 millions in their company.4 months after Nest, our team is delighted to announce that Foobot can now natively connect to ecobee connected thermostats. This allows a greater number of our users to create one of the most useful home automation, namely smart ventilation. In case you need a recap, up until now, ventilation was quite limited: a regular flux of air, and a boost mode. At the minimum, you could manually swith on the boost mode, and at best, your ventilation rate would be boosted in the bathroom after you had a shower. End of the story. 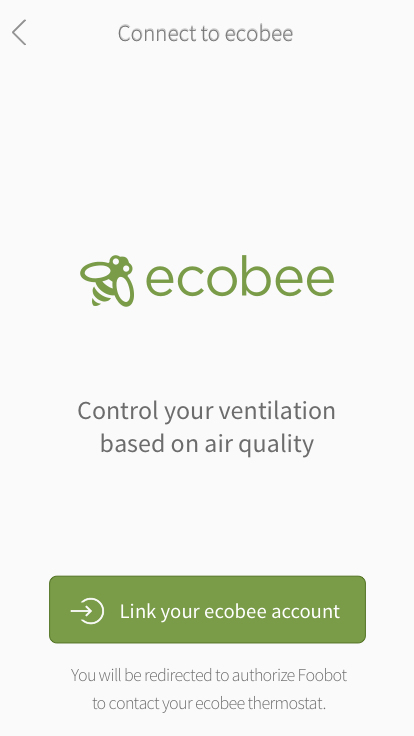 With the new ecobee+Foobot feature, your ventilation system is going to be slightly more exciting. If the air you breathe at home is decreasing in quality, or if humidity or pollution levels rise for whatever reason, then your ventilation rate will be boosted accordingly. In short, your indoor air will be fresh and safe 24/7, because your ventilation controlled by ecobee + Foobot will renew the air automatically when necessary. Your ventilation is about to become very smart, and more than a cool-but-not-so-useful gadget, it’s going to make your home a healthier place to live, and consequently improve your quality of life. You liked your ecobee thermostat for your everyday comfort at home? Now with Foobot, ecobee will also guarantee that you breathe good air at all times. Bee sure to activate the connection from your iOS App asap, and if you’re on Android, this will be released in a few months. Let us know how you feel about this feature in the comments!